THE first round of the Nathaniel League Cup proved to be a telling weekend for two of Welsh football’s second tier clubs – after Cwmbran Celtic and Goytre United were left looking for new managers. Alan Dibble departed Cwmbran Celtic after the club crashed out of the League Cup, losing 3-0 to lower division opposition. A statement issued by the club confirmed Dibbles departure after just eight games: “It is with regret that the club has to announce the resignation of Manager, Alan Dibble. Meanwhile, league rivals Goytre United are also searching for a new manager after Robert Cooke stepped down after his side disposed of AFC Llwydcoed 5-3 on Saturday. Cookes leaves Glenhafod Park after almost four years in the hotseat, having secured the League and League Cup double in his first season. 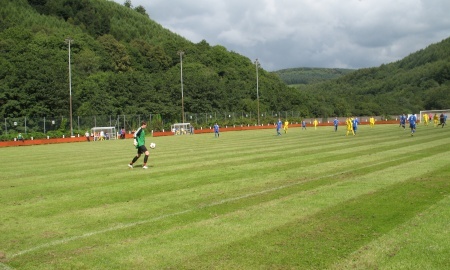 Cwmbran Celtic and Goytre United are 5th and 13th respectively in the MacWhirter Welsh League First Division.